What was life like among the first Christians? For the last thirty years, scholars have explored the historical and social contexts of the New Testament in order to sharpen their understanding of the text itself. This interest has led scholars to focus more and more on the social features of early Christian communities and less on their theologies or doctrines. Scholars are keen to understand what these communities were like, but the ritual life of early Christians remains largely unexplored. Studies of baptism and eucharist do exist, but they are very traditional, showing little awareness of the ritual world, let alone the broader social environment, in which Christians found themselves. Such studies make little or no use of the social sciences, Roman social history, or the archaeological record. 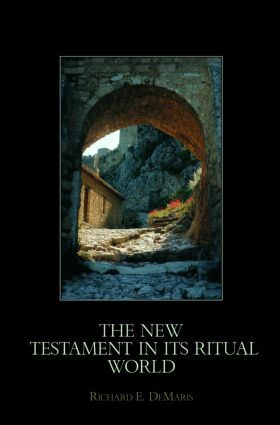 This book argues that ritual was central to, and definitive for, early Christian life (as it is for all social orders), and explores the New Testament through a ritual lens. By grounding the exploration in ritual theory, Greco-Roman ritual life, and the material record of the ancient Mediterranean, it offers new and insightful perspectives on early Christian communities and their cultural environment. In doing justice to a central but slighted aspect of community life, it outlines an alternative approach to the New Testament, one that reveals what the lives of the first Christians were actually like.